A sublime piece of craftsmanship. Cut from a single piece of aluminium, Expert Pro Remote lets you control your system with unparalleled refinement and precision. A natural extension of your Expert Pro system. Remote technology and bodywork promise an ultra-sensitive and sensual experience. Extreme exhilaration, right at your fingertips. The very best music. At your fingertips. A fundamental part of the audiophile ritual. Volume control must be precise and agile, perfectly omnidirectional and deeply sensual. Nothing but pleasure. 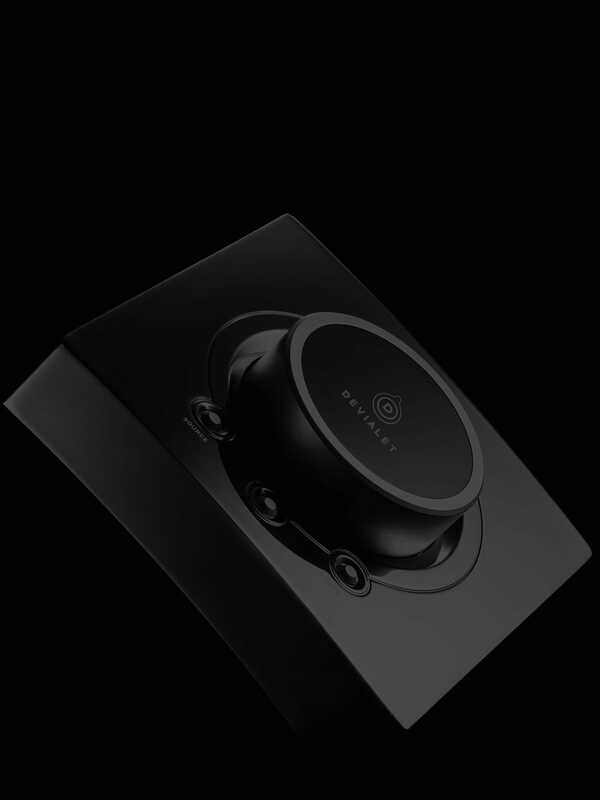 With Expert Pro Remote, Devialet designers and engineers have completely redefined the process. Start to finish. To meet every single one of these requirements. Ultra-precise and sensitive, the Expert Pro Remote is a work of undiluted audiophile excellence. Expert Pro Remote’s radio link operates in the 2.4 GHz bandwidth with optimal frequency diversity, whatever your country. Pointing is a thing of the past. Remote is perfectly omnidirectional, with an actual operating distance of up to 10 meters. Or way more in free ambient mode. Absolute control.Shift gears seamlessly with ultra-low latency (>3ms). Customizable MUTE and TONE buttons bring a bespoke listening experience. Just how you like it. Expert Pro Remote battery life lasts up to five years on average.